Thanks Rafael, Dancing Divertimentian, and Andre for your input regarding Debussy’s Pelléas. Please forgive me for being redundant but I am going nuts listening to this album. For me, this is some of the best Carter I have ever heard. I’m making the point of listening to all the (recorded) operas with libretti by (or based on) Gabriele d’Annunzio. 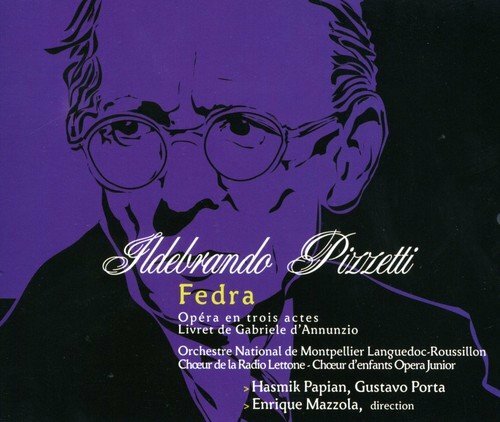 Pizzetti’s Fedra is one of the first. 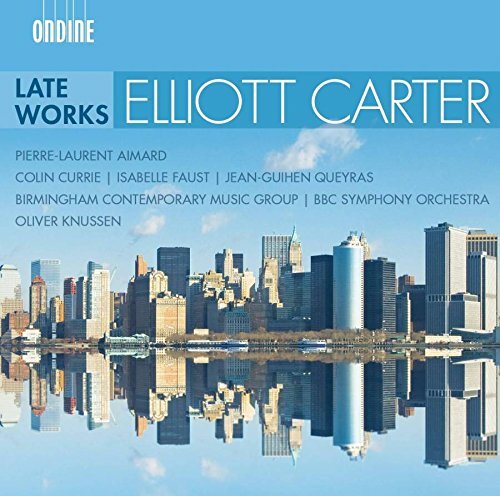 I already new the piece from a recording of a RAI broadcast under Nino Sanzogno (on Opera d’Oro), and purchased this more modern recording last week. Unfortunately, neither one of the releases has a libretto, and I can’t locate it online. Hence, I’ve ordered the complete 1940s Mondadori edition of il Vate’s plays. The prelude to this opera is quite something, and so far it he opera itself sounds very attractive (and it’s miles away from the typical Italian opera of the time—or from the decades preceding it, for that matter). So over the course of the coming months I’ll be listening to Zandonai’s Francesca da Rimini, Mascagni’s Parisina (a fascinating piece IMHO, but the two recordings I own are abridged and cut—I’ll need to order the almost complete 1976 RAI broadcast from a provider of live opera performances), La Figlia di Iorio (Franchetti’s is available from another live opera setup, and Pizzetti’s later version I already have in a GOP release under the composer), and Montemezzi’s La nave (the 2012 performance by NYC’s Teatro Grattacielo can also be bought from one of those sites). 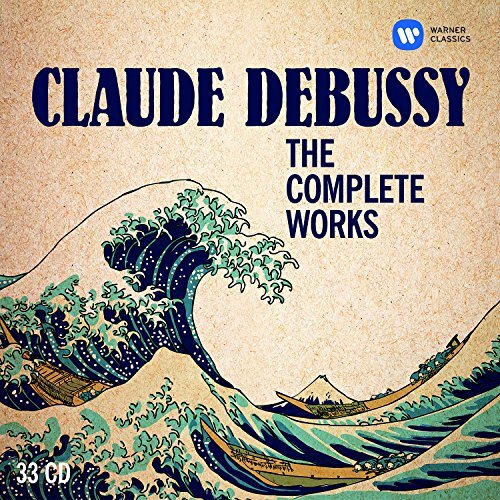 And of course, Debussy’s Le martyre de Saint Sébastien will have an outing as well (I suppose in the Cluytens version, which is closest to the work’s original conception). And of course, Debussy’s Le martyre de Saint Sébastien will have an outing as well (I suppose in the Cluytens version, which is closest to the work’s original conception). I'm a little confused about this Cluytens version. 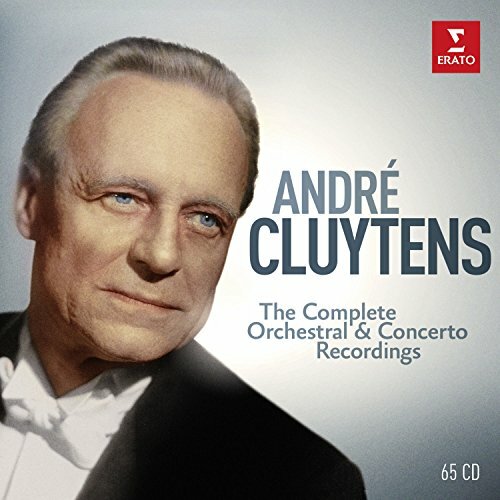 There is no mention of any Cluytens recording on Wikipedia, and I can't find it on Amazon either. The work has been recorded several times, in abridged format or with the symphonic music only. The orchestral version, arranged by Caplet, is generally described as Fragments symphoniques, and was published in 1912. Conductors who have recorded this version have included Jean Martinon, Daniel Barenboim and Esa-Pekka Salonen. In 1953 the first full recording appeared, by the Oklahoma City Symphony Orchestra and Chorale, with soloists Frances Yeend and Miriam Stewart, sopranos, and Anna Kaskas, contralto, conducted by Victor Alessandro. In the same year almost the complete score was recorded for Decca by Suzanne Danco, Nancy Waugh, Lise de Montmollin, Union Chorale de la Tour-de-Peilz (Chorus master Robert Mermoud), and the Orchestre de la Suisse Romande under Ernest Ansermet; digital remastering at Naxos. In the 1960s, Leonard Bernstein adapted the text and recorded the work with his wife, Felicia Montealegre, in the role of Sebastian, and the actor Fritz Weaver as narrator and assuming other speaking roles, with the New York Philharmonic, along with Adele Addison, Virginia Babikian, Marlena Kleinman, Joanna Simon, and The Choral Art Society. The work was given with Bernstein's English-language translation of the D'Annunzio text, with some added narration. In 1991 it was recorded digitally with soloists Ann Murray, Sylvia McNair, Nathalie Stutzmann, narrator Leslie Caron and the London Symphony Orchestra and Chorus conducted by Michael Tilson Thomas. In 2011 Thierry Fischer, conducting the BBC National Chorus and Orchestra of Wales, recorded the complete score. According to the CD booklet, the latter recording uses the "definitive scholarly version" of the score by Durand (2009), edited by Pierre Boulez and Eko Kasaba. I have the Tilson Thomas version. 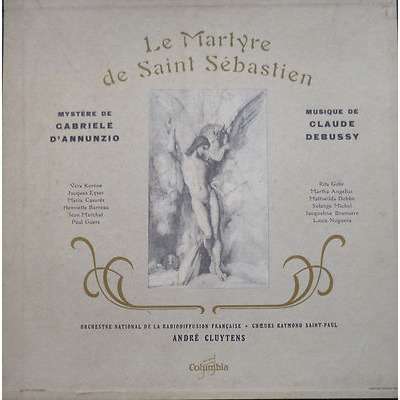 The Cluytens recording of Le Martyre de Saint Sébastien was made in 1952, following--IIRC--a staged performance of the mystère at the Fourvière Roman theatre in Lyons, produced by actress Véra Korène (who performs the Saint in the recording). It was issued by French Columbia on 3 LPs. It's different from all other recordings of the piece because, instead of having a narrator--the "standard" narration used in most recordings is by D.-E. Inghelbrecht--, it tries to reproduce the play as such--even if abridged--, with actors enacting the différent roles (among the actors, the only names familiar to me are the aforementioned Mme. Korène , and Maria Casarès). Among the singers, many might recognise the names of Solange Michel, Rita Gorr, Marthe Angelici, Jacqueline Brumaire and Mattiwilda Dobbs. The whole thing lasts over two hours (but decidedly--and fortunately--not the almost 5 hours the original version took, from what I've read). The flipside to this "authenticity" is that there are long stretches--of up to 15 minutes--with just spoken text and no music at all. OK guys, I confess: I may be the rabid Wagnerian and Boulezian and all that , but we all have guilty pleasures, and mine is...Pietro Mascagni! I'm not really that much into Cavalleria rusticana, but the bucolic L'amico Fritz always brings a smile to my face, Parisina fascinates me (and I think it is one of the pinnacles of Italian opera from any period) and even the almost completely unknown Le maschere is a work I enjoy. If ever an opera could be described as "it's so bad, it's good", it's this one. Luigi Illica's libretto is simultaneously flimsy and pretentious, the exotic setting (Japan in some "legendary times") verges on the ridiculous, the heroine is so naive one cannot help but think she's simply stupid, and it is all enveloped in "floral" words and music, with vain attempts at "symbolism". And yet, it all turns out to be great, great fun. Mascagni's efforts to produce an interesting and innovative orchestral backdrop sometimes bear remarkable fruit, and the melodic invention always flows. Pages such as the "Hymn of the Sun" (which opens and closes the opera), the chorus of the laundresses and Iris's entrance aria "In pure stille" (accompanied by her blind father's spoken prayers), Osaka's (yes, one character is called Osaka, and another Kyoto ) famous serenade "Apri la tua finestra", the dance of the geishas, the "octopus aria" (yes, you've read correctly) and Iris's "transfiguration"--while she's dying in a gutter! -- in Act 3 (before the reprise of the "Hymn of the Sun") are all very effective and engaging. The performance is first-rate, with Gavazzeni bestowing all his love and theatrical savoir faire on the score, Clara Petrella (an expert in this repertoire) delivering a great portrayal of the title role, and Giuseppe di Stefano lavishing his sweet tone on the decidedly despicable character of the rakish Osaka. Boris Christoff is the blind father (another really unpleasant character). It's so bad, it's really good. And I enjoy it tremendously. The water swells in deep channels. and you fragrant flowers of amoma! It speaks to my soul! You are great and good! believe that it leads to Nirvana! " 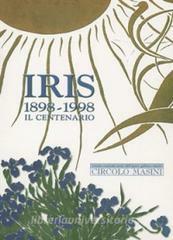 Although like most of Mascagni (except for Cavalleria, of course), Iris has left the repertoire, but it decidedly refuses to disappear completely, and gets productions here and there every 20 years or so... A couple of years ago, star soprano Sonya Yoncheva sang it in concert in Montpellier. After listening to the EMI 1957 studio recording of Medea under Serafin, I put on the 1958 Dallas performance conducted by Rescigno. There are pros and cons in both, but by and large the slightly muffled, dim sounding, singing-to-the-back-of-the-stage Dallas show takes the cake. The pluses in the EMI production are clean, clear, undistorted sound and Callas in slightly more secure voice. The cons are the inferior cast and the unmistakable studio atmosphere. Medea is an opera about a character that appears after more than 35 minutes of music. It’s also a work where a lot happens before the curtain rises. Therefore a proper mise en contexte is necessary to understand and appreciate the plot which, once Medea appears, contains very little real action. Before the opera starts, Medea, daughter of the King of Colchis, a priestess with connections with the Underworld, helps the dashing Giasone and his party of 50 (she fell in love with him, you see) to steal the magic Golden Fleece and take it back to Greece on the vessel Argos (hence the name of the returning heroes: Argonauts). Medea’s brother has caught back with the elopers, but she kills him. The King of Colchis engages in hot pursuit and, to distract her avenging father, Medea dismembers her brother’s corpse and throws the limbs one by one, forcing their father-king to stop and collect them to give them a proper sepulture. Back home, Medea and Giasone settle in matrimony and raise 2 children. But Giasone, tired of the dull life and aspiring to claim the throne of Corinth, leaves wife and children behind. He insinuates himself into King Creonte’s good graces and courts his daughter Glauce. Everybody prepares to celebrate the happy couple’s wedding. But wait ! The captain of the guards interrupts the party to tell Creonte that a woman clothed and veiled in dark garments demands to be heard. Enter Medea. Bearing that in mind, it’s no surprise that Callas excelled in both roles. But Medea is particularly hard to bring off. In Norma the first act establishes the character’s nobility, her conflicting emotions, and gives ample opportunity to develop a strong musical portrayal. Medea has to assert her dramatic presence from the get go and dominate the rest of the opera without interruption. Medea’s emotions evolve from noble outrage to anger, to pleading, throwing herself at her lover’s feet, then wrath and boiling rage, and culminate in murderous fury - litterally: in her last appearance Medea is flanked by the three Furies. That dramatic escalation/descent into despair and madness makes for riveting drama. After act I, one is left with the distinct feeling that things will surely get bad. 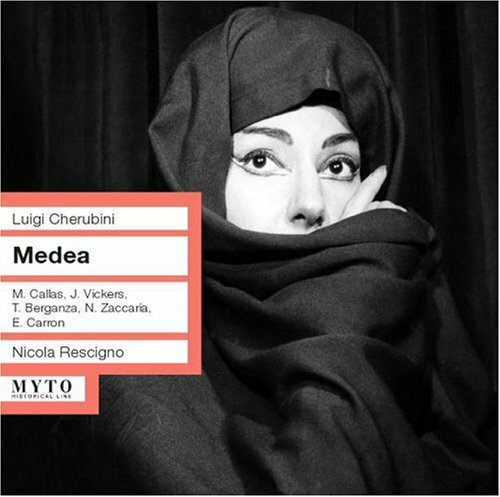 And, as acts II and III unfold, the implacable destiny of the doomed Medea is brilliantly set to music by Cherubini. One point of interest is the lyrical pause afforded by servant Neris’ beseeching aria, an oasis of calm between the surrounding turmoil and drama. That would not be lost on Illica and Puccini, who set Pinkerton’s lovely aria Addio fiorito asil right before the final scene of Butterfly’s tragic death (another scorned woman with a dagger and a little child. Fortunately she spares her bambino - evolving sensibilities maybe?). In the Dallas performance Callas is in very good voice and does not shy from baleful tones, ugly yelps (totally in character, not out of any vocal distress) and hair-raising intensity. The supporting cast is uniformly strong and, contrary to the EMI version, helps Callas elevate her verbal communicative powers to untold levels of histrionic eloquence. She really sings to the other characters, and vice versa - as opposed to singing into a microphone. Cherubini’s music alternates between beautiful moments and manic breathlessness. It’s a demanding work, both from a performer’s and a listener’s standpoint. A roller coaster of emotional extremes displayed in plain daylight with quasi no moment of respite (except for the aforementioned Neris aria). It’s a rather short opera where, once Medea appears, there is no escape from the impending catastrophe. Brahms considered it the apex of lyrical drama. Beethoven and Wagner held it in very high esteem. Originally written in French with versified dialogues, it was eventually rewoked in german translation by composer Lachner with sung recitatives replacing the dialogues. That version was then translated back into Italian and reintroduced to italian audiences in 1905 (112 years after its premiere!). It is not clear if this new Medea took hold for good, but it is the version that was revived for Callas in 1953. It took the operatic world by storm thanks to the supernatural adequation of the performer with the character. Vocally it’s not extremely difficult (only one high C), except that the dramatic intensity is at full tilt from her very first words, and only increases thereafter, with the dynamics going in tandem. By the end, Medea is hurling imprecations fff. Frightening stuff. I’ll continue to look for other Callas performances of it, from London and Milan (1953 and 1961). There may be other good ones, but I think Callas genuinely owns this one. I haven’t listened to the Callas Medea for ages, but should do so soon. I only have the 1953 from La Scala (with Bernstein), but have read the Dallas you’ve been listening to, and the 1959 from Covent Garden, are considered the most accomplished. 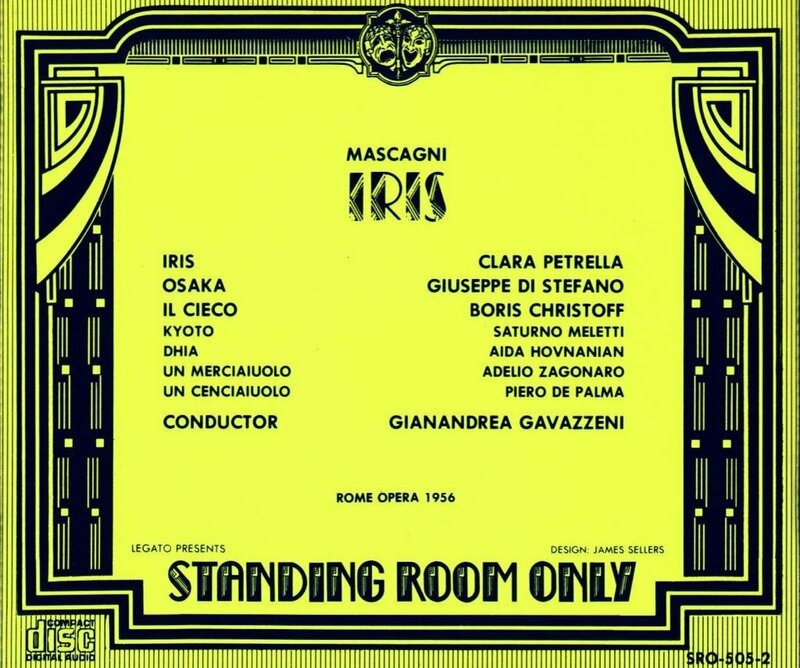 I would want to track down her debut in the role in 1953 (Maggio Musicale Fiorentino, conducted by Vittorio Gui—who was tireless in reviving forgotten repertory), but it’s long OOP and I’ve only seen it at unacceptably high prices. Very good post André. I also have the London disc reworked in stereo by one of the specialized outfit. Callas isnt quite as virulent as in the Dallas performance. I personnally think it is closer to Cherubini intentions judging from his other operas (I have all the recorded ones except Ali-Baba). The sound is definitively better in this London recording. Cherubini was really a man of theater, but by in large, the libretto he worked with were not at the level of his talent, except for Médée. And this is the reason of its succes. André: cross-post on the Cherubini thread. I didn’t know we had a Cherubini thread ! . I’ll copy and paste. Thanks ! 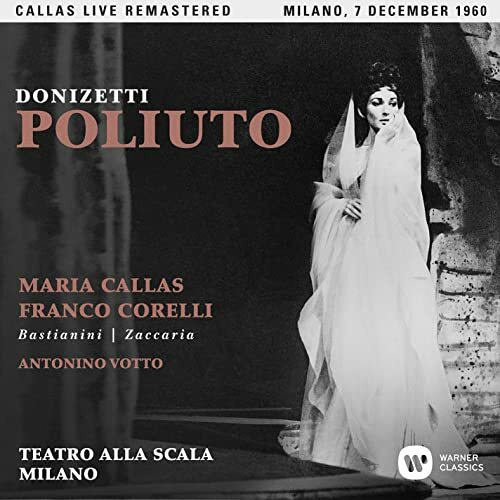 I thought there was a Callas recording of Poliuto, and that it was in one of the Warner Remastered sets. But apparently not. Is there such a recording? A fine Boris there. The men are generally quite impressive. Poliuto is one of Callas’ very last La Scala productions. It’s available on various labels, and there is an EMI release. It’s live, not studio and I read that Callas was not in very good voice, but TBH I’ve never heard it myself. The role of Paolina is almost a supporting one and Poliuto is generally regarded as a tenor’s opera. Yes, I've been meaning to get it for a long time. The budgety reissue price decided the time was now. As for Abbado's Boris Godunov, I think I read somewhere that it was one of the moot expensive opera recordings ever made, and was a commercial failure. Still, I think it's an excellent performance of the score (not that I have anything to compare it to in my collection). The studio Medea was not re-worked in stereo. It was recorded in stereo. The recording was made by Mercury/Ricordi, and later released by EMI under licence. The ultra conservative Walter Legge wanted nothing to do with it, which is why ended up recording Callas as Nedda, Mimi, Turandot and Manon Lescaut, when he should have been recording her as Lady Macbeth, Anna Bolena, Armida or Alceste. An excellent post, but I take issue with your statement that the role isn't extremely difficult. It's actually pretty fiendish, and its creator, Mme Scio, was said to have died from singing it. Though there are few top Cs, the tessitura is very high, and its angular lines and wide leaps extremely difficult to negotiate, added to the fact that Medea hardly stops singing from the moment she makes her entrance. The only rest she gets is when Neris sings her beautiful aria in Act II. Callas's experience of the role was paramount; she knew where to save her voice, and where to let it out full tilt. She tells a student who attempts Dei tuoi figli in one of her master classes, that, if she were to attempt to sing the role with such force, she wouldn't last past the first interval. There are quite a few recordings of Callas in the role, starting from her very first attempt in Florence in 1953 to her final performances at La Scala in 1961/62. Not sure why I haven't got round to Dallas yet, which remains my favourite. She is in good voice for 1958 and her portrayal has a degree more subtlety than in Florence or at La Scala in 1953. The Covent Garden performance of 1959 enjoys better sound than Dallas, but lacks the elemental force, and at La Scala in 1961, her voice is definitely showing signs of wear.